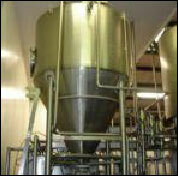 A complete process plant is a complicated affair. We manufacture some of the equipment, other equipment groups come from our collaborators in USA, Europe and associates in India, all in accordance with customised MAZDA designs and specifications. What you see here is an assortment, that typically goes into a tomato paste processing facility. 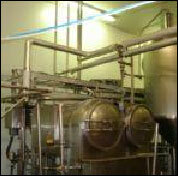 Equipment shown is GMP/HACCP compatible. A wide range of products can be obtained from tomatoes, including tomato juice, paste, diced/ peeled tomatoes, strained tomato pulp, sauces and powder. 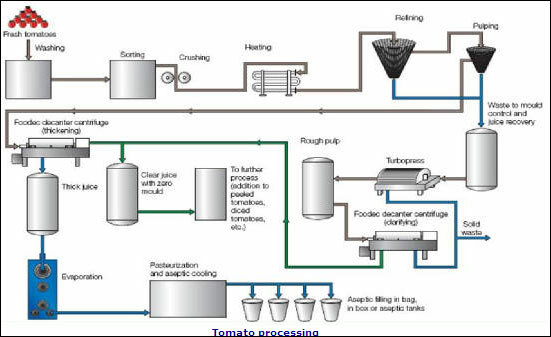 For the industrial market, tomato paste is probably the most important product because it is used as the base for a wide range of other products. In general, the fruit is washed, sorted and pre-conditioned by crushing, peeling or cutting it to the required size. 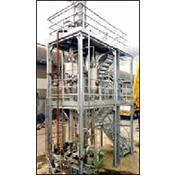 Depending on the particular requirements, the pre-conditioned fruit then undergoes heating, refining, pulping, reconditioning, evaporation, pasteurization and packing. ©2018 Mazmach. All rights reserved.